Everyone is celebrating somethings at Disney World, sometimes just being on vacation! Planning Disney celebrations while you are on vacation at Disney World is a great way to make a birthday or anniversary very special. Here are some ideas on how to make the most of a special day at Disney. 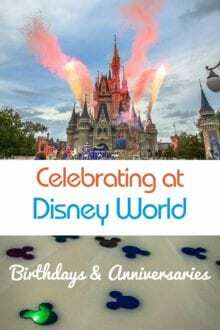 it includes recommendations for reservations, hotel room gifts, cakes, and even a note about the part of your special event celebration that comes free at Disney. I can’t think of another type of family vacation that involves more planning than a vacation to Disney World. With all of its intricacies and details, I think most Disney regulars find the planning as fun as the trip itself once they feel like they know what they are doing. 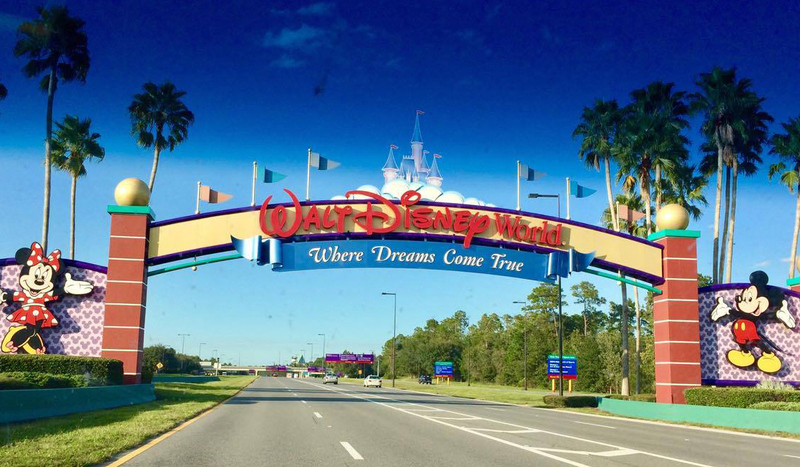 Planning Disney celebrations while you are on your vacation is even better! Like many other moms who enjoy planning, this stage becomes a delightful activity that merely extends the vacation before it even begins. Admit it. Who doesn’t postpone laundry or bill paying with a quick peek at the My Disney Experience website leading up to a trip? 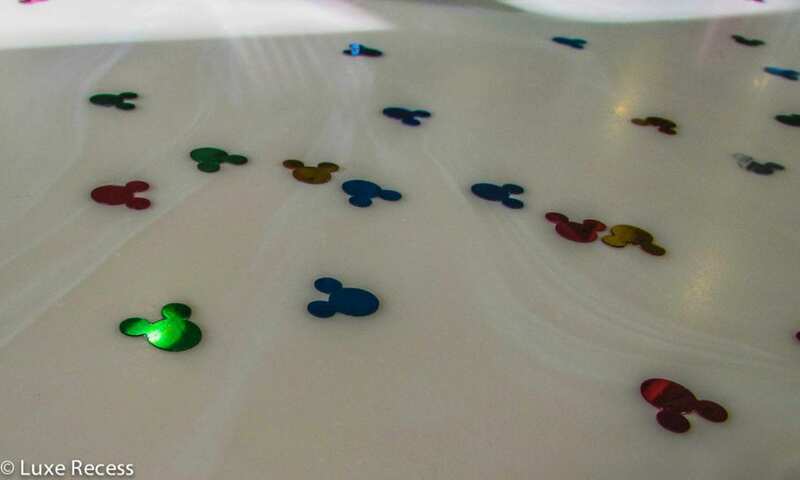 It’s certainly fun to figure out ways to make a Disney World vacation as special as it can be when a family member is celebrating something or when it is the vacation a family awaits for years. It seems every family is celebrating something at Disney World. Check in at the gift shop at any of the Disney resorts, as most of the stores carry a stock of celebration buttons at the cash register, and they are free. The buttons include many different messages: My first visit, Happy Birthday, Happy Anniversary, Happy Graduation, and more. My daughter wore a birthday button on her birthday during the very Mickey Christmas party and many cast members did wish her a happy birthday. A personal victory for me was getting my husband who refuses to wear any brand label whatsoever to don a Happy Anniversary button (for a few hours) just to please me. I’m the mom that says no gifts at my kids’ birthday parties, and only buys books on shopping outings, but—strangely— all bets are off when I plan one of our Disney vacations. The Disney Floral and Gifts website gets lots of page views from me. Disney Floral and Gifts offers a variety of gifts that can be delivered to your hotel room on the day of your choice. There are all-out options costing hundreds of dollars that cover the room in gifts and decorations, which I’ve never done. I typically create my own gift for my two children, selecting the container and adding snacks, mouse ears, and balloons I choose. The gifts are wrapped in ribbon and cellophane like a fancy Easter basket. Disney Floral and Gifts will be happy to add anything you send them for an additional fee to be included in with their existing merchandise. I customized it creating the right welcome gifts for my children. My son who was only 18 months old at the time received a stuffed Mickey Mouse, a water bottle and a Mickey Mouse blanket to help keep him warm at night in his stroller. Beyond plush animals and characters, sometimes it’s hard to think of what to get older children. I’ve given my daughter a guide to hidden Mickeys and little-known facts about Disney World, and trading pin sets and lavalieres. Autograph books are also perfect. And I include a few Disney park snacks. There are extremely sweet options with loads of candies or a solid chocolate Minnie Mouse cake, or you can be more conservative like me and opt for pretzels and goldfish. If you’re really no fun, they offer fresh fruit, too. The times I’ve ordered these gifts I’ve always had to nudge the concierge desk to deliver them so be prepared to stay on top of them. If possible, call the hotel a few hours before check in to see that the delivery arrived and authorize them to put it in your room. If the gift hasn’t arrived yet, ask them to deliver later while your family is out of the hotel room for dinner. I surprised my daughter with a lightening fast trip to Disney World for her 9th birthday to take her to a very Mickey Christmas party. What was super fun is that for an additional fee you can time the delivery to the hour. 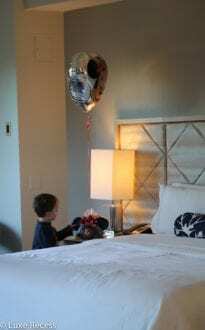 I requested her surprise birthday basket during our room service breakfast celebration, to ensure it arrived before we left for the day. Her birthday set of ears and a monogrammed park backpack were the perfect touch. 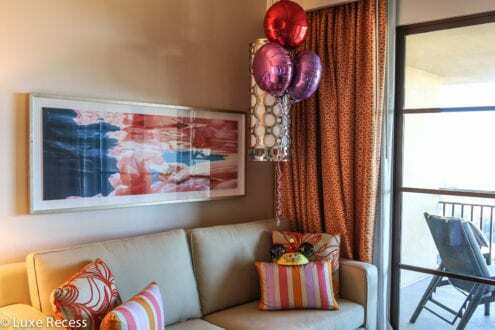 The fact that I chose balloons that magically matched the hotel room décor is pure coincidence. The most special reservations for a celebration will require some advanced planning. Inside the Magic Kingdom, it’s tough to beat Cinderella’s Royal Table for a child’s birthday. The restaurant typically needs to be booked at least 180 days in advance. Special birthday packages are available that include a cake, balloons, and a tiara. For an adult birthday, I would prefer my favorite Disney World restaurant, California Grill, with the fireworks show from its balconies after dinner. If they are booked, I would head to Blue Zoo at the Walt Disney World Dolphin for the Dancing Fish and Chocolate dome dessert. Sanaa, at the Animal Kingdom Lodge is a better choice when young children are in your party. Dinner guests can explore an overlook next to the restaurant entrance to view the animals, and they are easy to see from the restaurant’s windows, too. If you are, indeed, celebrating an occasion, call the Disney Dining reservation line a week before your trip and let them know of the occasion for all reservations on your celebration day. Sometimes it will mean something, and sometimes it won’t. Crystal Palace, in the Magic Kingdom, had sprinkled our table with Mickey confetti for our anniversary, and the Grand Floridian’s Tea Room gave my daughter a rose. Don’t expect a free meal or dessert. Remember how many people are, in fact, celebrating something. 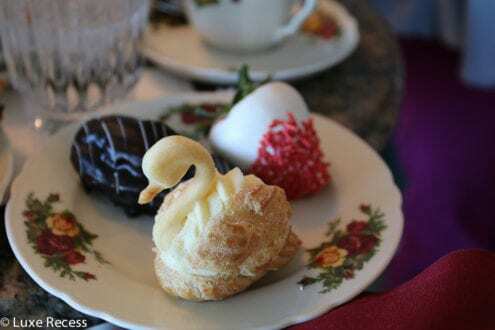 If you want to take matters into your own hands, Disney World has a special occasions cake department where guests can order cakes to be delivered to their hotel room or at a restaurant inside the Walt Disney World resort, including the parks. I’ve never done this because we’ve never had enough people to warrant a whole cake, but it seems like a great service, particularly for families like mine with dietary restrictions and food allergies. Erin McKenna’s Bakery in Disney Springs offers vegan and gluten-free options while the regular bakeries are able to offer nut-free options for cakes. Straightforward grocery store style cakes are available in most restaurants, and guests can order them when they check in with the hostess, hence their name “podium cakes”. Guests can order more elaborate custom cakes in advance from fancier fondant covered creations to large sheet cakes. 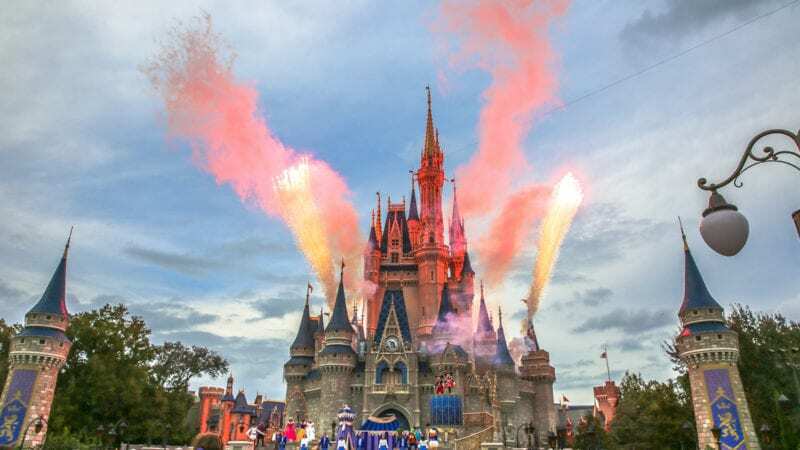 A Disney World vacation is, alone, something worth celebrating, but planning something extra special is fun, particularly when there are so many ways to add some pixie dust. Boston. 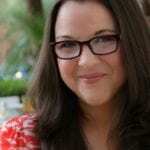 She launched <Luxe Recess: For Parents Who Like Really Nice Hotels in 2014 to share her passion for and knowledge of hotels with other parents. You’ll see her happiest wandering historic cities and gazing at architecture, with her two kids’ shirts sporting newly made stains from local chocolate treats. Awesome ideas! I haven’t been to Disney World in 27 years! But, a bunch of friends and family will be celebrating my best friend’s 30th birthday in a couple years there! I can’t wait. Thanks for the info on the Disney Floral and Gift site. I had no idea that existed.